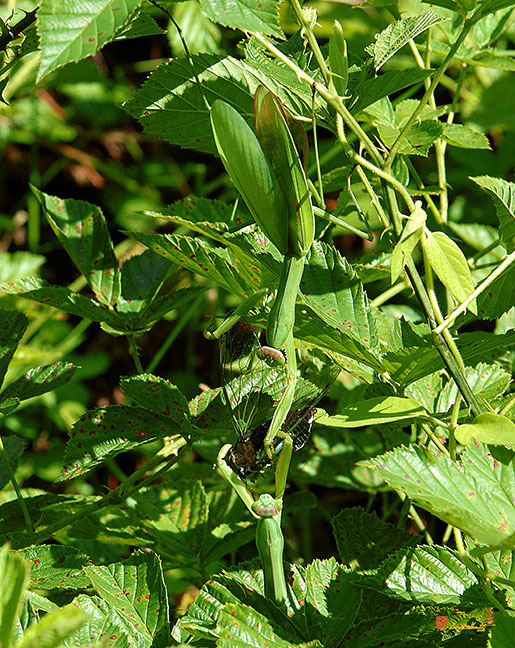 2004 Photograph, Two Female Chinese Mantises (Tenodera sinensis, Family Mantidae) in a tug-of-war over an Annual Cicada, Huntley Meadows, Alexandria, Virginia, © 2019. The mantis at top is trying to steal the cicada from the mantis at bottom. The lower mantis has gradually pulled the cicada down to her.